EVEN BEFORE the election, the axe is already falling on public services in some areas - including housing services in Waltham Forest, east London, writes Sarah Sachs-Eldridge. 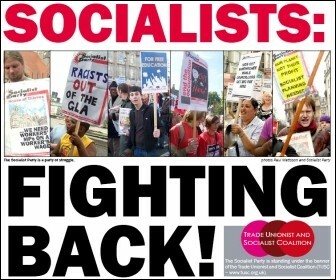 Nottingham: ON 27 March a conference in Nottingham, called by Nottingham Unity Committee, brought together delegates from several independent anti-racist and anti-fascist groups as well as trades union organisations from around the country, writes Steve Score. "This is simply undemocratic. The right to strike is every worker's most basic right and it is a right which needs to be defended. 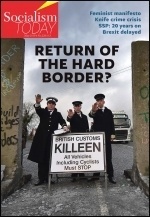 * Anti-trade union laws: "repeal and give workers their rights back"
ARE YOU suffering from this recession? If you're a low-paid worker, the answer is probably yes. If you're a fat-cat business executive, the answer is almost certainly no!, writes Roger Shrives. 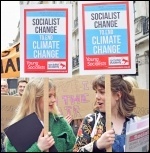 The Socialist Party in Coventry officially launched its election campaign on 21 March, with well over 100 people cramming in to a meeting, writes Peter Chase. 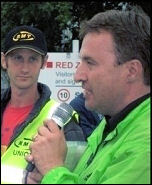 At a mass meeting in London on 31 March the general secretaries of the RMT and TSSA, Bob Crow and Gerry Doherty, announced that these two rail unions would be holding a simultaneous strike ballot of London Underground workers, writes Reg Johnstone, London Underground worker. THE LABOUR government and the Tory opposition have virtually identical policies on selling off schools, writes Derek McMillan. 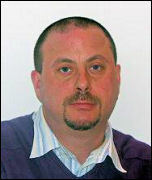 MP MARK Fisher's decision not to stand for re-election intensified the already well developed process of meltdown of New Labour in Stoke Central, writes Andy Bentley. British Airways: British Airways services were severely disrupted by the second round of strikes by cabin crew, which ended on Tuesday 30 March, with rows of BA planes grounded, writes Neil Cafferky. 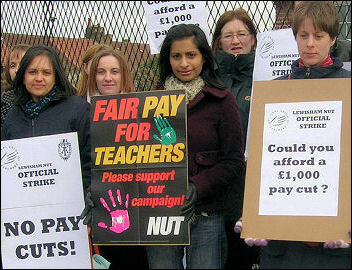 The National Union of Teachers (NUT) annual conference, which took place in Liverpool over the Easter weekend, showed that the conditions teachers now face are similar to those of workers across the public sector where pay and conditions are being eaten away, writes Jane James. 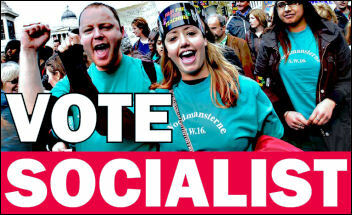 THE RUN up to the general election on 6 May has seen all the main parties promising to carry out savage cuts in public spending and to step up the attacks on working class communities, writes Philip Stott, Scottish Trade Unionist and Socialist Coalition and International Socialists. THE COMMENTS of shadow home secretary Chris Grayling last week show the continued existence of anti-gay prejudice in the Conservative Party, writes Ian Pattison, Leeds Socialist Party. No cuts in public services and jobs. For fully funded, publicly owned and democratically run public services. No to mass unemployment. For investment in socially useful job creation programmes, such as house building, youth facilities and other services. Readers' comment: The centre page article about the massive anti-poll tax demonstration of 1990 by Steve Glennon (issue 617) was excellent, mainly because as chief steward, Steve had a very good overview of events, writes Rob Windsor, Socialist Party councillor, Coventry. "IT'S A shame that they don't have a column on the voting paper that says 'none of the above' when you go to vote" was the comment of one voter who summed up the mood of hundreds of people we met on the Easter weekend of action in Huddersfield, writes Mike Forster. There are two key issues for NUT members - the need for a national ballot to combat excessive workload and united public sector action to defend jobs, pay and pensions, writes Martin Powell-Davies, newly elected to the NUT executive. 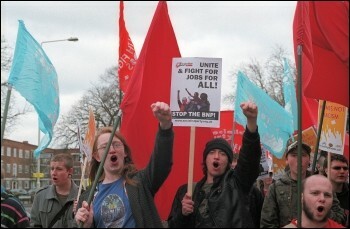 THOUSANDS OF trade unionists marched through the streets of London on 10 April on the 'save the welfare state and public services' demonstration, writes Paula Mitchell. 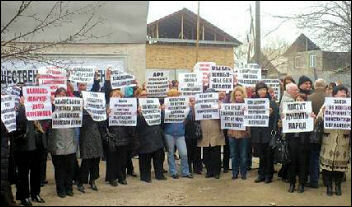 A MASS uprising starting in Talaz rapidly spread to Bishkek, the capital city of Kyrgyzstan, last week, writes CWI reporters. THE HORRIFIC loss of life in the war in Afghanistan should make it a major election issue. In this human catastrophe, tens of thousands of Afghan civilians have died since the war started in 2001. Policies: Putting the millions before the billionaires! We are living through the most severe economic crisis since the Great Depression. Although the economy, which shrunk by a massive 5% has now stuttered into growth, a further decline - a 'double dip' - is far from ruled out. Do you want to be underpaid, undereducated and burdened with debt? That's what the establishment politicians offer young people in this general election. 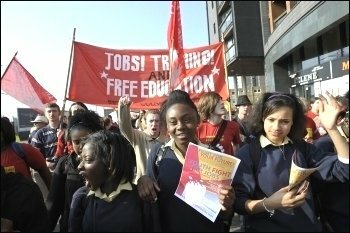 Compulsory low-paid work is the order of the day with Brown and Co., writes Chris Jones, Youth Fight for Jobs. In the space of a week the LibDems' prospects were apparently transformed, following the first television debate between the main party leaders, writes Ken Douglas. The first television debate, on 15 April, between the leaders of the main parties was the first such election debate in Britain, writes Paula Mitchell. 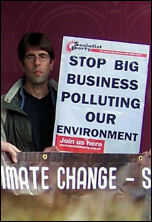 Portsmouth North: "An ordinary guy to represent ordinary workers"
AS IBM announced a 'consultation' over threatened redundancies in Portsmouth, Mick Tosh, TUSC parliamentary candidate for Portsmouth North, called for solidarity with the workers facing job losses, writes Ben Norman. National Care Service - fact or fiction? 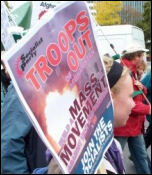 On 15 April the BNP held a demonstration outside the Home Office in Croydon under the slogan 'Britain is Full Up', writes Neil Cafferky. Labour ministers who think that PCS's campaign against the government's attempt to rip up our Civil Service Compensation Scheme (CSCS) is over because the general election has been called are wrong - the campaign goes on until there is a negotiated settlement, writes John McInally, Public and Commercial Services union (PCS) national vice-president, personal capacity. Workers at Manchester Metropolitan University are continuing to fight 127 job losses, with their union Unison restarting the process of balloting for strike action, writes A Unison member at MMU. The recently reformed Dover and District Trades Union Council recently held its first major public meeting against the threat of privatisation of the port of Dover, writes Jacqui Berry. Laundry workers were joined by nurses, porters and other hospital staff in a protest outside Gateshead's Queen Elizabeth Hospital, against the planned closure of the hospital's laundry, writes Elaine Brunskill. 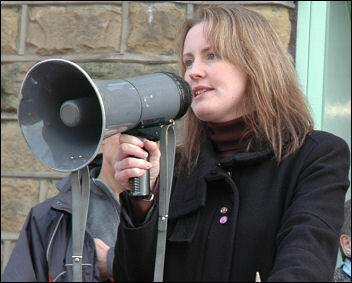 "What I say to people on the doorstep is we will only cut your throat slowly, the others will cut your head off" was a comment of New Labour MP for Blyth Valley in the North East, Ronnie Campbell, in a local paper, writes Elaine Brunskill, Tyneside Socialist Party. Heading for a coalition government? The TUC's call for unemployment to be a bigger election issue appears to have fallen on deaf ears. For the politicians that is. 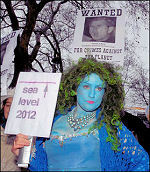 For most of us it is less easy to avoid, writes Sarah Sachs-Eldridge. A QUARTER of all households - in owned or rented accommodation - say that worry over housing costs is causing them stress or depression, says a survey by housing charity Shelter, writes Keith Richardson. Can the Greens help provide a left alternative? The Green Party is standing more than 300 candidates in the general election. It believes it has a chance of getting one of its two MEPs, Caroline Lucas, elected to Westminster in the Brighton Pavilion constituency. Sean Figg and Judy Beishon explain why, fundamentally, the Green Party is not offering a way forward for working class people. 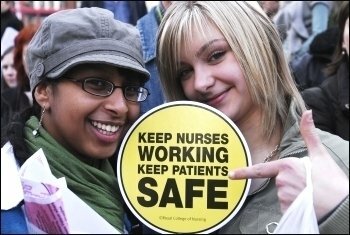 Any Unison health members looking for a way forward in resisting future attacks on the NHS following the general election will have been severely disappointed by the Unison health conference, writes Adrian O'Malley, Unison health Service Group Executive (SGE) member, Yorkshire, personal capacity. 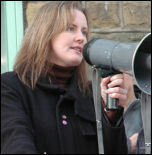 Lecturers at Northumberland College were on strike on 22 April for the future of the college. They are being threatened with pay cuts, increased workloads, and job losses, writes Ian Pattison, Socialist Students and Newcastle Free Education Network. "You've got my vote"! TUSC candidate for Walthamstow, Nancy Taaffe, received a very warm reception at a hustings on Sunday 25 April, writes Sarah Sachs-Eldridge. 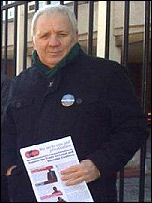 The Trade Unionist and Socialist (TUSC) campaign has won the argument in Cardiff Central even if we have not won the election, writes Dave Reid. "That makes real sense to me"
LONDON IS the most unequal city in the industrialised world, with the richest worth 273 times the poorest, according to a new book, writes Pete Dickenson. It's never been easier to get a hearing for the Socialist Party's ideas: on stalls, on the doorsteps, and even in the pubs, writes Norman Hall, Tyneside Socialist Party.